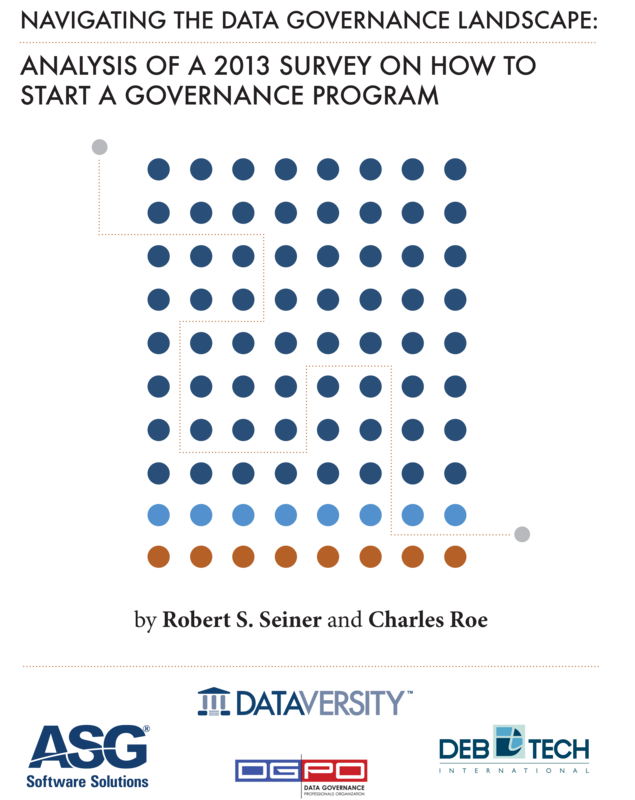 “Data Governance” is a term fraught with nuance, misunderstanding, myriad opinions, and fear. It is often enough to keep Data Stewards and senior executives awake late into the night. The modern enterprise needs reliable and sustainable control over its technological systems, business processes, and data assets. Such control is tantamount to competitive success in an ever-changing marketplace driven by the exponential growth of data, mobile computing, social networking, the need for real-time analytics and reporting mechanisms, and increasing regulatory compliance requirements. Data Governance can enhance and buttress (or resuscitate, if needed) the strategic and tactical business drivers every enterprise needs for market success. This paper is sponsored by: ASG, DGPO and DebTech International.